For an easy (and yummy!) dinner, you can’t go wrong with these crunchy chicken tenders! This recipe makes the perfect midweek meal, but it’s also great for an easy lunch or to serve at your child’s next birthday party. 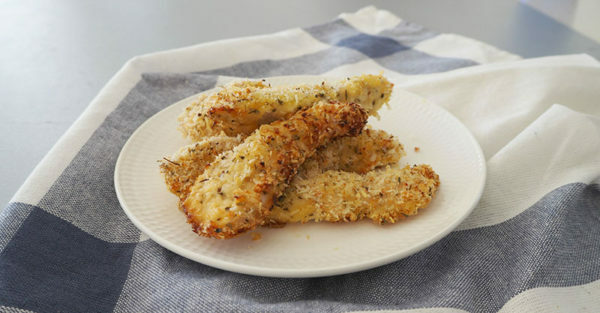 These chicken tenders are nice and crunchy thanks to their panko breadcrumb and parmesan cheese crust and they can easily be turned into a complete meal when served with some steamed or roasted vegetables, or even inside a wrap with some salad. If you are feeding a crowd, you can double this recipe to make more. They’re also freezer friendly once crumbed, just pop them into a freezer-safe container. 1. Preheat your oven to 190 degrees Celsius (fan-forced). 2. 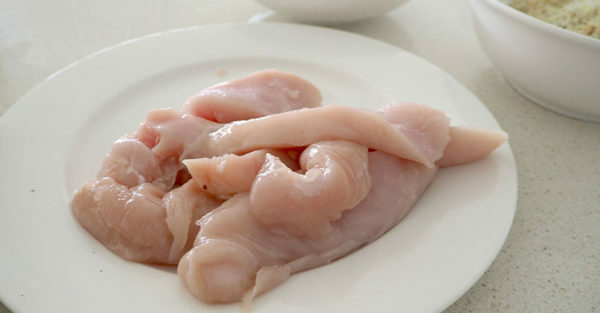 Slice the chicken breast into strips and place in the fridge until needed. 3. Break the eggs into a bowl and lightly whisk – set aside until needed. 4. 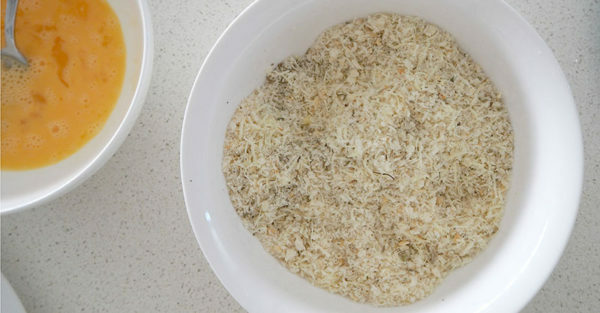 Place the breadcrumbs, grated parmesan cheese, mixed herbs and onion flakes into a bowl and stir to combine. 5. 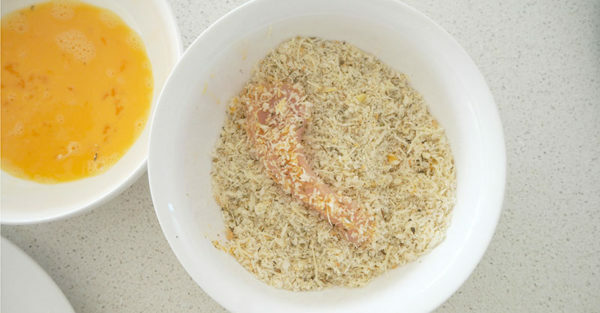 Coat the chicken strips in the egg before transferring to the bowl with the breadcrumb mixture and turn to coat. 6. Place the coated chicken strips onto your baking tray and give them a light spray with the olive oil (if using) before baking for 25 minutes or until golden and cooked through.